I have been seeing Fall wreaths pop up EVERYWHERE on blogland so I thought I would share some of my favorites with you! 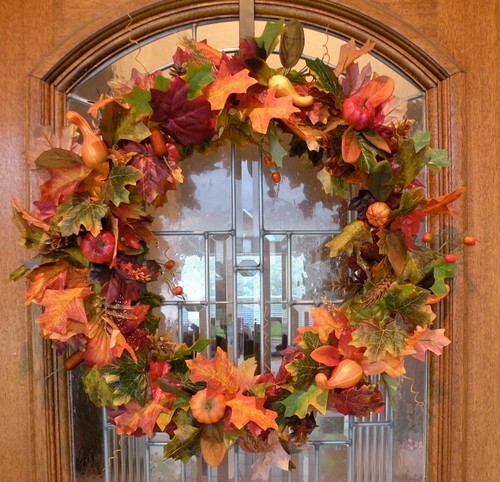 I will be sharing the fall wreaths around my house later! 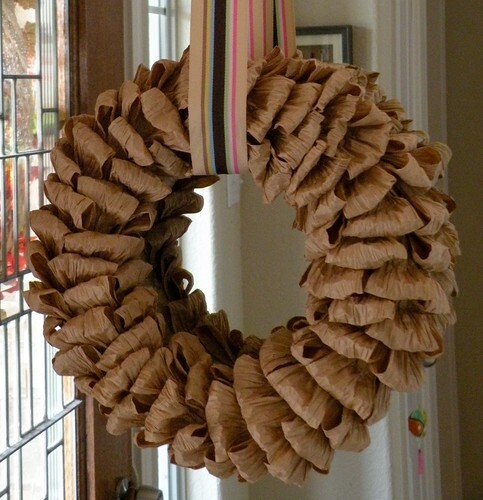 Copycat of Martha’s corn husk wreath from House of Hepworths. Super cute and inexpensive! Wreath made with real fall leaves from Wild Ink. This is so pretty but since it is still in 80’s and 90’s here in GA there aren’t many leaves on the ground yet! Bright fall wreath with a sign from Johnson Manorisms. I never think of adding things like a sign to my wreath but I now I want to go add one to my wreath! Magnolia wreath from Pretty Handy Girl. Love the magnolia leaves tucked in her premade white berry wreath! Dollar store wreath from House of Hepworths. I am loving that you can make beautiful things from the Dollar Store! Wow, thank you so much for featuring both of my wreaths!! !